Limited entries will be accepted at pre-registration. Online entry fees will still apply. 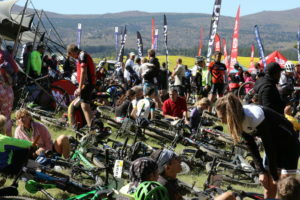 Limited late entries will also be available at registration on the morning of the event for the funride catagories only. Late entry fees will apply. 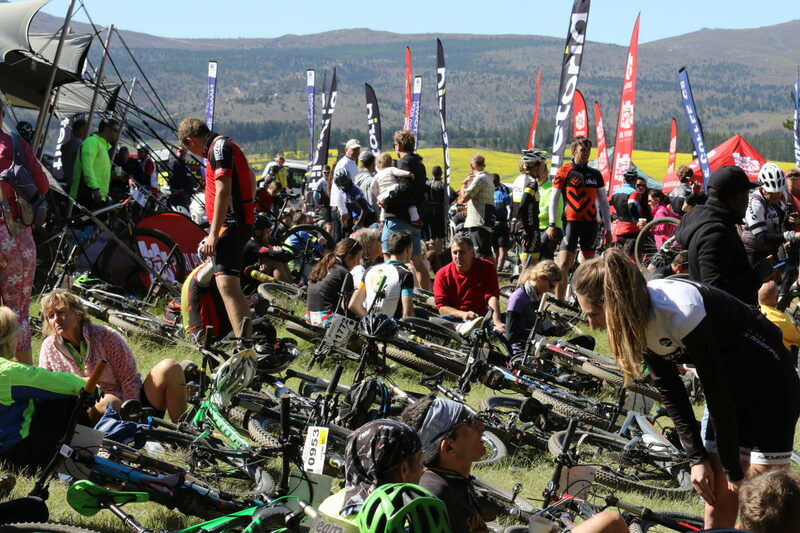 The racing categories are now an official Western Cape Marathon MTB event and the 70 km and the 45 km in both the race and the funride categories will count for Wine 2 Whales seeding. 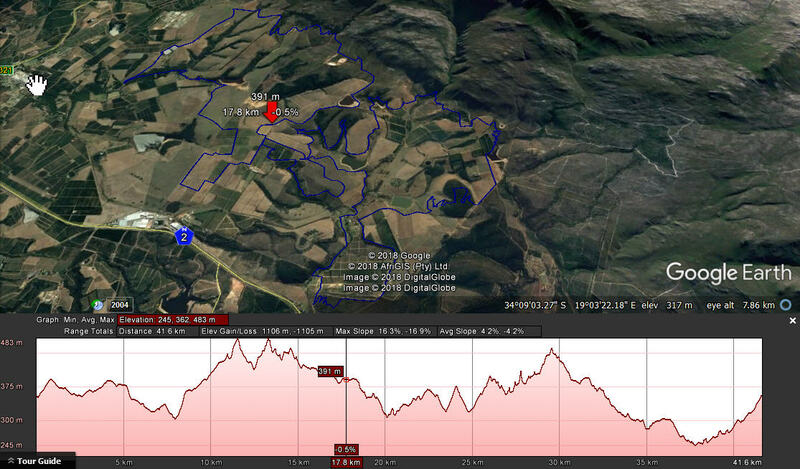 If you are fit and experienced, the tough 66 km route over Groenlandberg is the route for you. 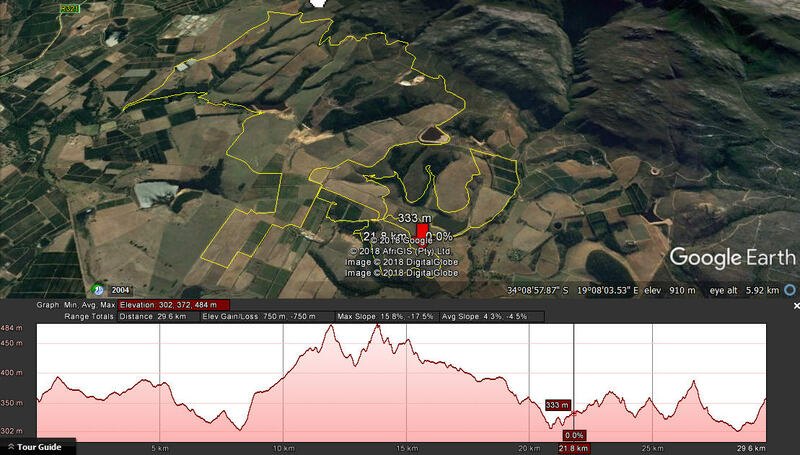 This route is well-known to riders who have done the ABSA Cape Epic, and is a legendary climb in the area. It is NOT a route for beginners or novice riders, or unfit riders. Once you start the climb to the Mast, there's no turning back. The descent includes some technical, steep sections that last year caught out some experienced riders. So don't enter this route lightly - but if you're up to it, it's the stuff memories are made of. The 45 km route takes place mostly on the Paul Cluver Estate, but includes a section on Oak Valley. 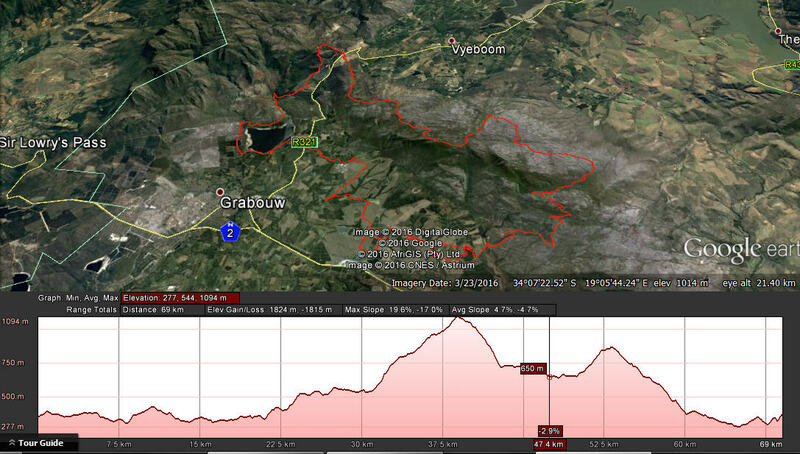 While this route includes some of the tougher climbs on Paul Cluver, fortunately the one over Groenlandberg is not one of those! Expect to visit most of the stunning single track and bridges on Paul Cluver though. 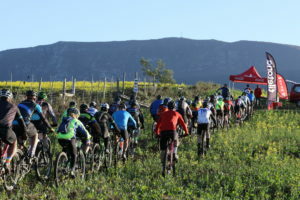 The 30 km route will also take in the best that Paul Cluver Wine Estate can offer (with a section through Oak Valley),but excludes some of the tougher hills. You will, however, still be able to ride some of the amazing single track and bridges on Paul Cluver (where possible, 'chicken runs' will be offered). This is the route to do if you are an experienced beginner, perhaps not as fit as you'd like to be, or want to get to the finish quicker to join the party. The untimed 15 km follows a ‘figure-of-eight’ format which gives you the option of riding only one, or both of the loops. It primarily takes place on farm roads, but still has a climb/descent or two to get a good work-out. This route is suited to youngsters of all ages and families. Entries close on 20 August or as soon as 1200 entries have been received, whichever comes first. A small number of late entries will be accepted on the day of the event only if the event cut-off has not been reached – late entry fees will apply. Notes: All riders in the racing catagories need to have a CSA licence. 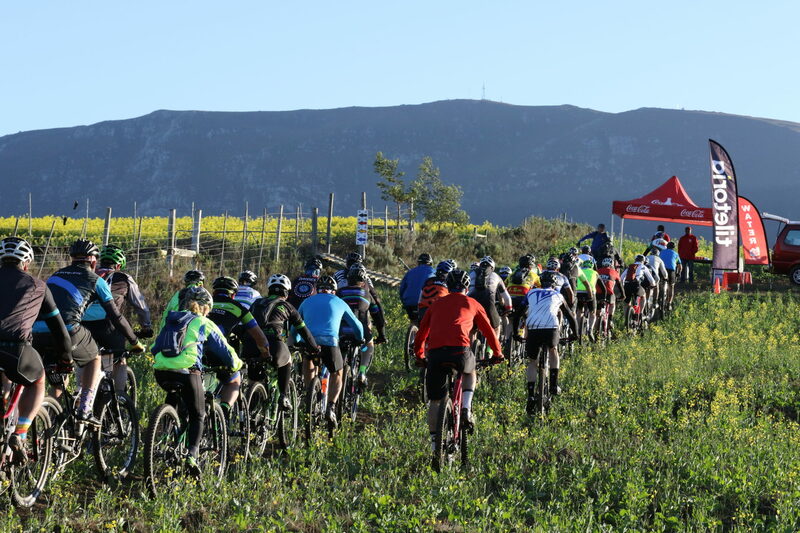 The racing categories are now an official Western Cape Marathon MTB event. Early bird entries are for the first 25 entries in each distance.